One of the best way to take in the beauty of the Blue Ridge Mountains that surround Asheville is via a rooftop bar. With a cocktail in hand catch a sunset with unimpeded, panoramic views. 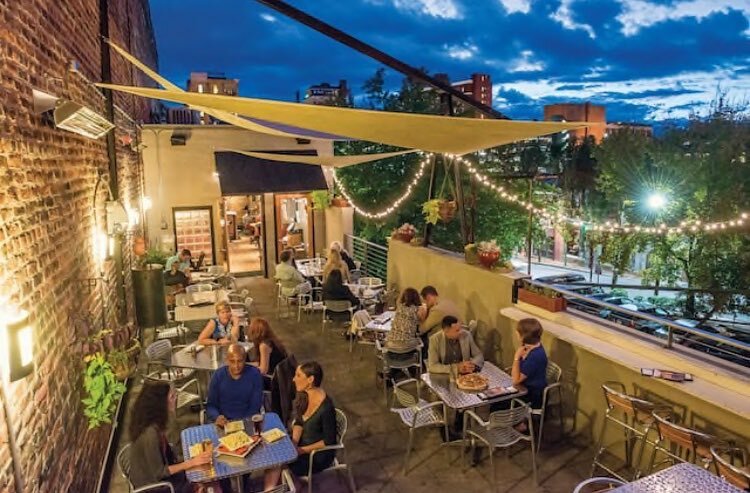 Downtown Asheville boasts multiple rooftop choices to choose from, most situated on hotels. 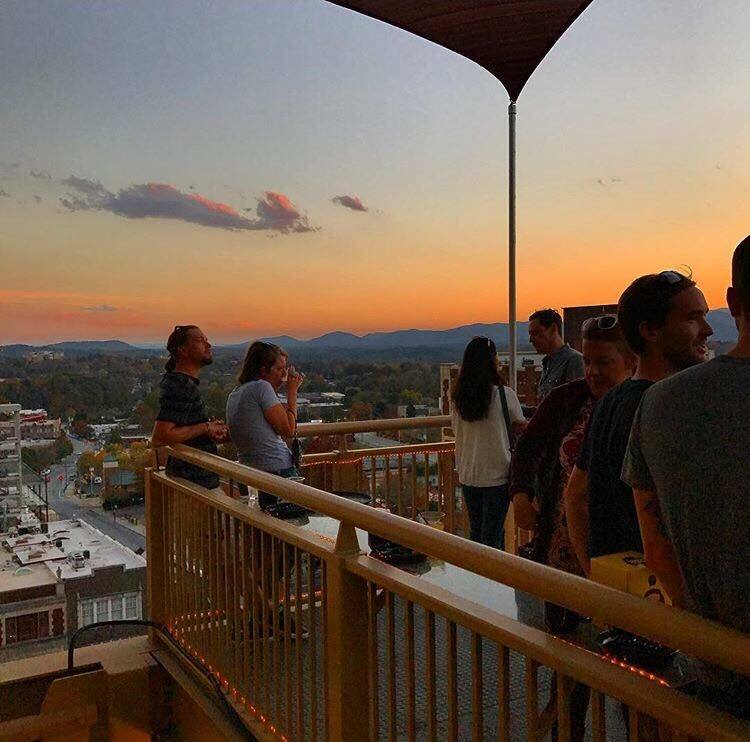 From the local favorites such as Skybar and Top of the Monk to Montford Rooftop bar and Pillar bar, there is a view and a drink for everyone. 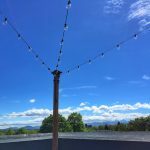 Small Plates Big Views is the motto of Capella on 9, Asheville’s newest rooftop bar located at the AC Hotel Asheville Downtown. Breakfast, small plates, and large plates are available alongside signature cocktails. 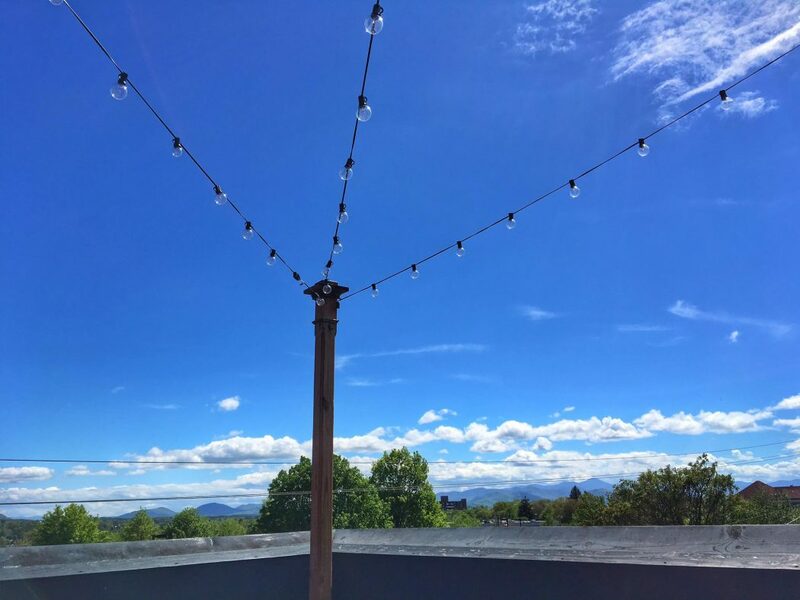 Located in the historic Omni Grove Park Inn, Edison Craft Ales + Kitchen offers a fine dining experience with expansive outdoor seating and breathtaking views of the Blue Ridge Mountains. Looking to get away from it all? Highland offers a rooftop escape with gorgeous views and a 21+ friendly atmosphere. 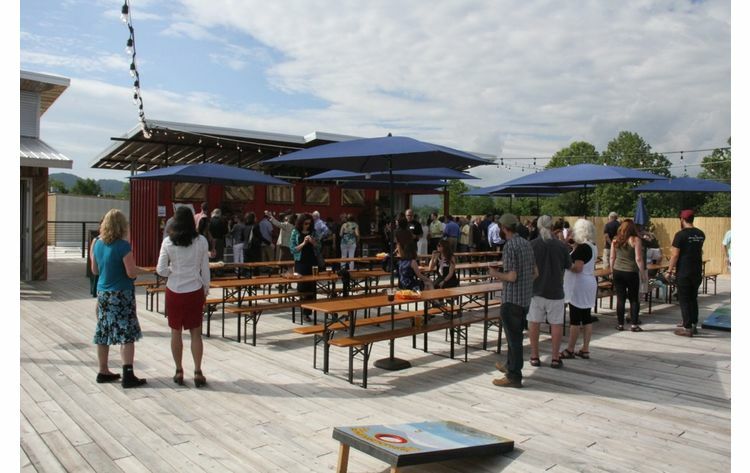 Grab your favorite Highland brew from the shipping-container-turned-bar and grab a seat under the lights. 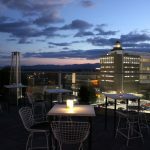 Perched atop the 8 floor Hyatt Place Hotel, the Montford Rooftop Bar offers an indoor terrace as well as outside seating. 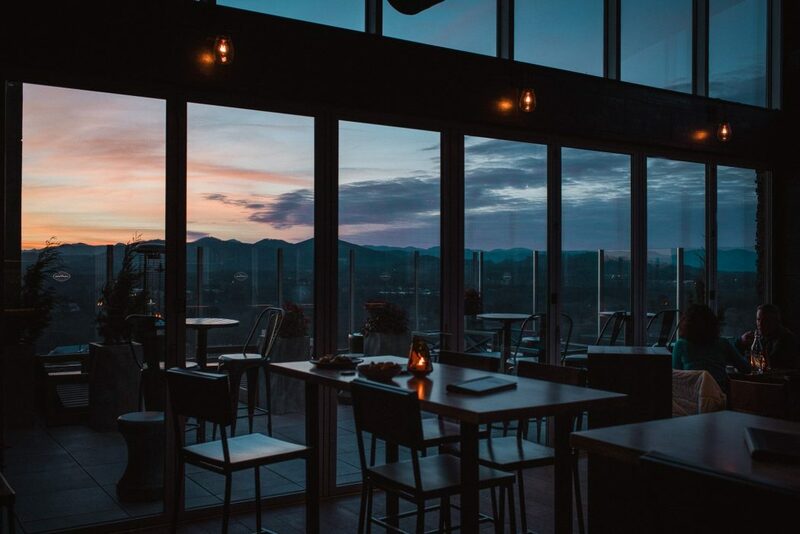 Serving a seasonally driven cocktail menu and small bites with gorgeous mountain views. Free valet parking is offered by the hotel. 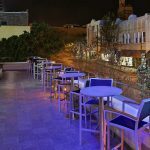 The downtown Hilton Garden Inn considers themselves “garden-to-glass” with a list of craft cocktails, local and regional beers as well as sustainable wines. During colder weather you can enjoy an indoor lounge with large windows. Southern fusion small plates are available alongside your favorite drink. Part of next door restaurant Strada in downtown Asheville, The Social Lounge offers small bites alongside Sunday morning mimosas. 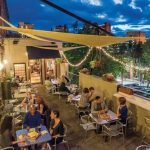 The views are limited for this smaller rooftop bar, but what it may lack in view The Social makes up for in their bar snacks, wine, beer and craft cocktails. 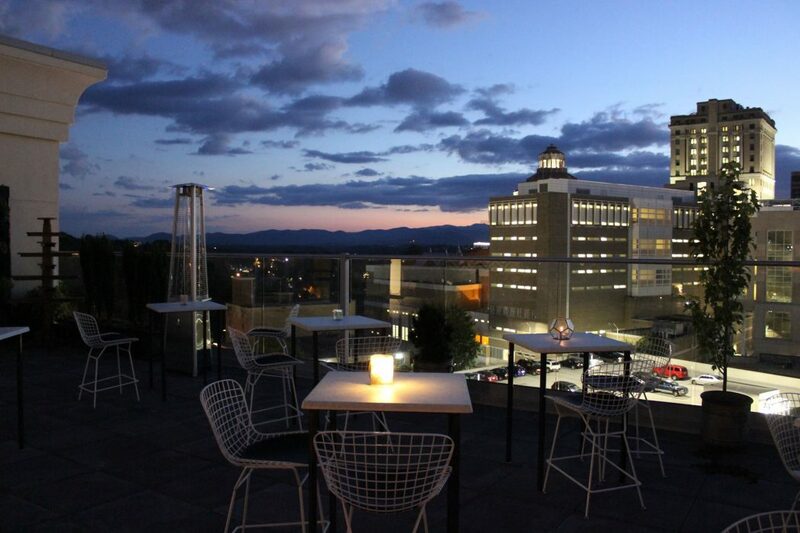 One of Asheville’s oldest roof top bars, Skybar is located on the Flat Iron building, perched atop World Cafe. 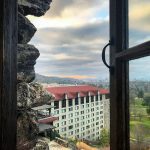 Ask the elevator operator to take you to the 8th floor of the building and be prepared for a stiff drink with amazing views. To be granted access to the top, there is a one drink minimum. Thirsty Monk downtown has a unique setup – grab a Belgian beer from the basement, or an American Ale from the ground floor. 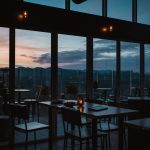 If you are interesting in cocktails and other mixed drinks head to the Top of the Monk – literally. 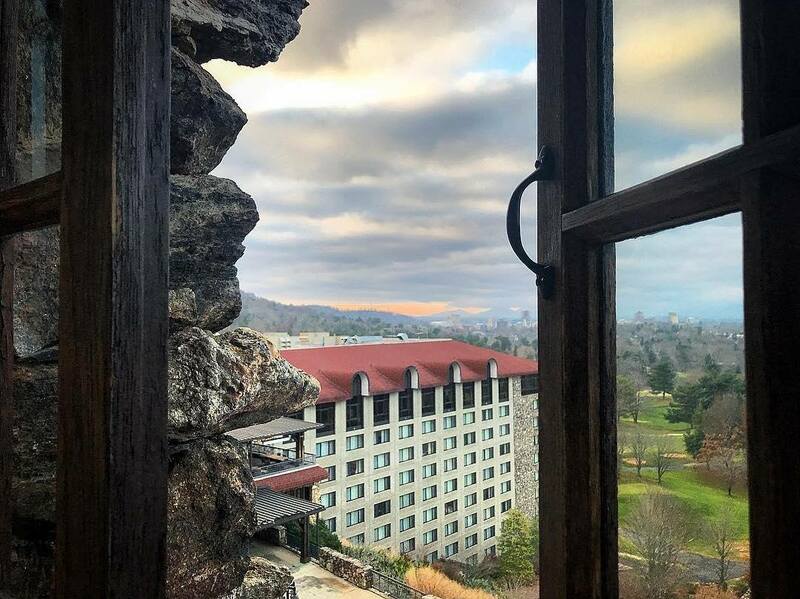 The 3rd floor of Thirsty Monk boasts beautiful views and an impressive menu. 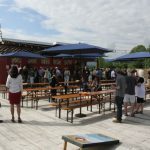 W XYZ located in the Aloft Hotel downtown offers a seasonal rotating menu of handcrafted drinks, including local microbrews. 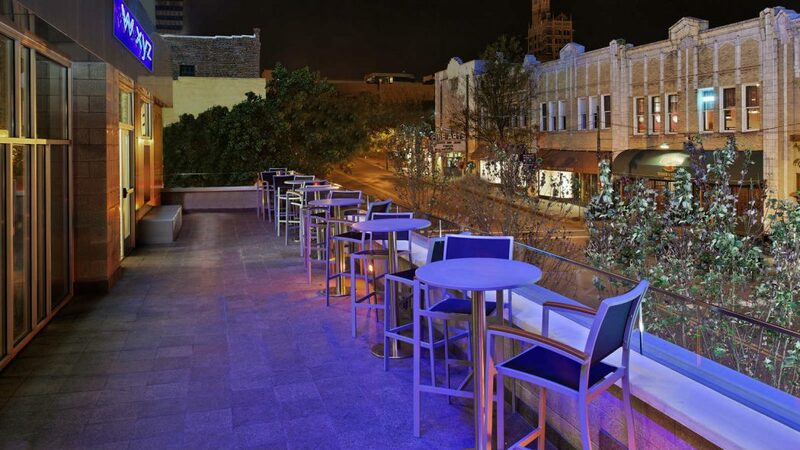 Step outside the lounge, located one story above street level onto The Ledge. 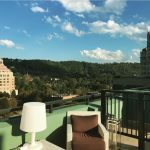 This lingering rooftop seating area gives visitors a clear view of busy Biltmore Avenue.